This can often be a touchy subject, because every family is different and each couple has their own style and vision of their wedding. There are always open-ended questions about how to address children on the invitation and what to do with children on the big day. If you plan on having more than a couple of children at your event, it’s a good idea to provide a source of entertainment, so their parents can share in enjoying your happiness without worry. Here are a few ideas for you to brainstorm. Put together some little packages that include small but fun activities for the children to entertain them throughout the wedding. These could include coloring books, markers, puzzles, stickers, board games, snacks and more. 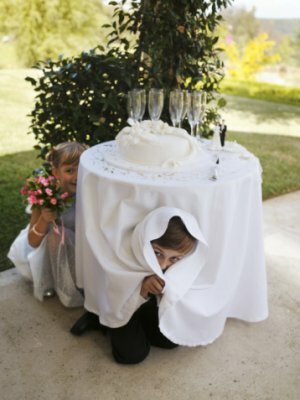 Or, work with your venue organizer to arrange for a table with these types of activities where children can play together. 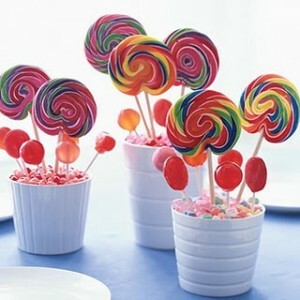 Most venues will have an option to provide kid-friendly food for your little guests. This may ease a lot of trouble as many kids are picky eaters and may refuse to try, let alone appreciate, the type of food you may be serving to everyone else. 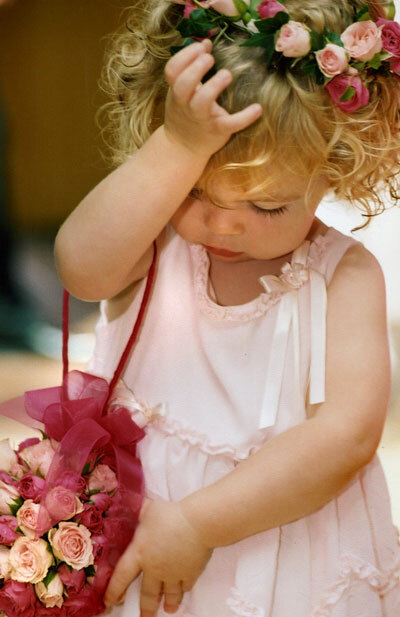 It can be valuable to assign a friend or hire a babysitting service to watch over the group of children at the wedding. This way, they won’t disturb your guests or your wedding activities, and you and your guests won’t have to worry about watching them yourselves. Talk to your music provider about playing some songs that most kids will love, to ensure they don’t get bored or disrupt the adults. You might even have your DJ play a short, music-related activity for the kids. Consider hiring a performer such as a magician, face painter, or balloon artist. 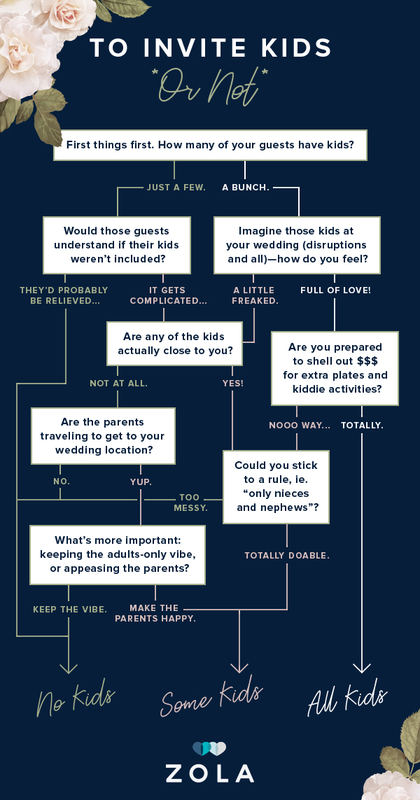 This way, children at your wedding will have as much fun as you’re having, and you might even get a few fun-loving adults involved too! Entertain the kids by providing them with disposable cameras, blowing bubbles, kiddy cocktails, scavenger hunts, blow up guitars, and more! 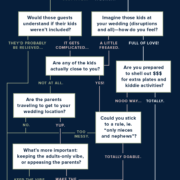 There are hundreds of ideas out there that can make having children at your wedding a joy. Just use a little creativity, and you’ll be an instant hit for the kids!